What are the basic principles of medical aid – how does it work? South Africa has a dual healthcare system, consisting of public and private providers. Private hospitals are used mostly by members of medical schemes or those able to pay for these services out of their own pocket. where applicable, to render a relevant health service, either by the medical scheme itself, or by any supplier or group of suppliers of a relevant health service or by any person, in association with or in terms of an agreement with a medical aid. It is very important to “insure” your health. Accidents can happen and you and your family’s health is unpredictable. If you cannot afford comprehensive cover, at least a basic hospital plan is recommended. Evaluate your and your dependants’ state of health. Your medical needs should be considered first. Also look at your family’s medical history. Evaluate your specific situation on an ongoing basis, as it may change. Could you be limited to a specific network of hospitals? What rate of hospital reimbursement is appropriate for you and your family? Do you need additional chronic (long-term) medication cover? To what extent do you need day-to-day cover? Do you have any future planned procedures? These plans cover almost all medical expenses (subject to the rules of the individual scheme) and include benefits for in-hospital and day-to-day expenses (subject to the rules of the scheme). These cover accounts submitted by service providers for treatment only while you are in hospital. You are responsible for your own day-to-day medical expenses. These plans cost less than comprehensive medical aid plans and are offered by every medical aid provider. The medical savings plan is designed to cover day-to-day expenses. The consumer contributes a fixed monthly amount to a savings account. The total annual amount available in the savings account is available, in advance, for medical expenses in that year. In terms of the medical scheme regulations, the amount may not exceed 25% of a consumer’s annual premium. Once the benefit has been used up, the consumer is responsible for the day-to-day expenses. Any credit balance in the savings account at the end of the year is carried over to the next year. What is a Capitation Plan (Network Option)? These plans provide individuals with basic day-to-day cover at affordable rates, at specific network providers. Network providers differ from scheme to scheme and members have to use designated service providers. Please note that some of the schemes have income categories. This means that what you pay every month for the plan is dependent on what you earn. From how many medical aids can I choose? In 2008, there were 119 registered medical schemes, of which 37 were open schemes . By the end of 2009, the number of open schemes had decreased to 34. Within open medical schemes one can choose from around 177 different plans. What is the main difference between medical aids? The main differences between different medical aids, and options within them, is the cover provided with regard to specialists and other suppliers while you are in hospital. The Department of Health has published specific rules and tariffs for specific health services and procedures performed in or out of hospital. These tariffs for the Council for Medical Schemes are called the National Health Reference Price List or NHRPL. They are only a guideline for specialists and anaesthetists to follow when they charge you for a specific procedure performed in hospital. Most medical providers charge a far higher fee than this rate. The scheme rate to which many quotes and brochures refer is usually slightly higher than the NHRPL rate – about 2% – 5% more, depending on the scheme. This means that, should the specialist or anaesthetist charge you 300%, he is actually charging you three times more than the guide price. The most important thing is to make sure of the tariff or rate at which your scheme and option cover you. If your scheme covers you at the normal 100% rate, you will have to negotiate tariffs with the provider. If they charge you more than that tariff, which 90% of them do, you will have to pay in the difference out of your own pocket. How can I cover this shortfall between my medical scheme rates and what the providers charge? The second way to avoid such a shortfall is to get a product, such as GapCover, which will cover the difference. Should the specialist or anaesthetist charge you more, GapCover will cover the difference in cost, up to 400%. The cost of this type of product ranges between R95 and R100 per month for an individual or for the whole family. GapCover should be seen as a positive add-on to your medical aid. Topping up medical scheme cover is essential in the light of the ongoing increases in medical scheme costs and private hospitalisation. To make healthcare cover more affordable, members take the cheaper option within their medical scheme and top up with an insurance product. GapCover can reduce or eliminate out-of-pocket expenses while you are hospitalised. If I am already a scheme member, when should I consider changing options or schemes? 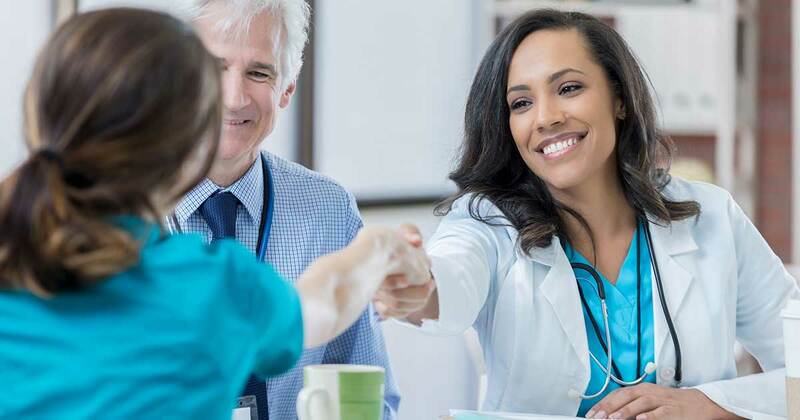 In a rapidly changing environment, ongoing evaluation of your medical scheme has become vital to ensure optimum benefits are available and that you are covered for foreseen and unforeseen medical conditions and emergencies. Review your own personal needs and basic requirements. Are you still single or have you got married? Do you have children? Have you been diagnosed with a new chronic condition? Do penalties generally apply if I leave a scheme or switch? Most schemes require written notice of between a month and three months of your intention to resign from the scheme. Changing options within your current scheme can be done only towards the end of the year, for commencement on 1 January. Schemes have their own rules with regard to changing options during the year. A general waiting period of up to three months. A condition-specific waiting period of up to 12 months. Prescribed minimum benefits (PMBs) other than specified. A child dependant born during the period of membership. A member moving between benefit options, unless he has to complete the remaining period of previously imposed waiting periods. In instances where an employer changes the medical scheme of his employees with effect from the beginning of the financial year. What are my rights by law? There are standard-rate fees for people to join medical aid schemes regardless of their health or age. There can be no discrimination on the grounds of people’s health. For example, a medical scheme cannot refuse to allow someone to join because he/she is HIV-positive, or because he/she has asthma or diabetes. The definition of dependants includes spouses (husband or wife) and natural and adopted children. The new Act also sets out a complaints procedure for people who have a complaint against a medical scheme.